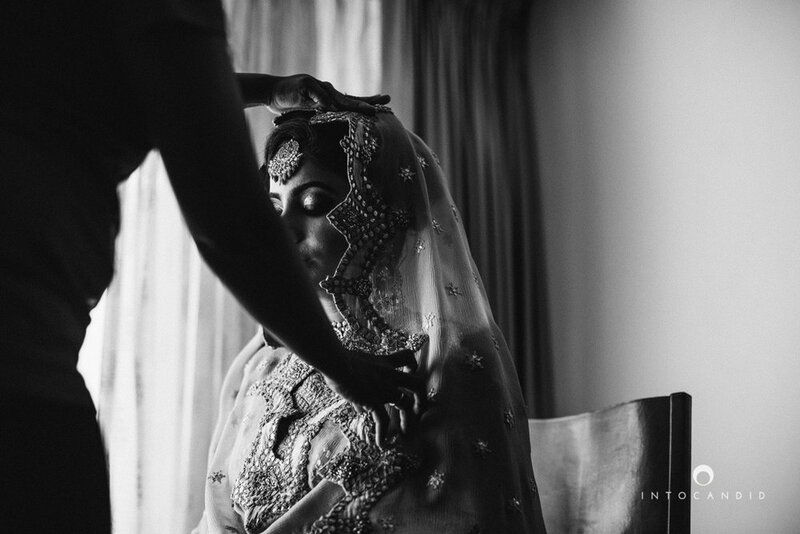 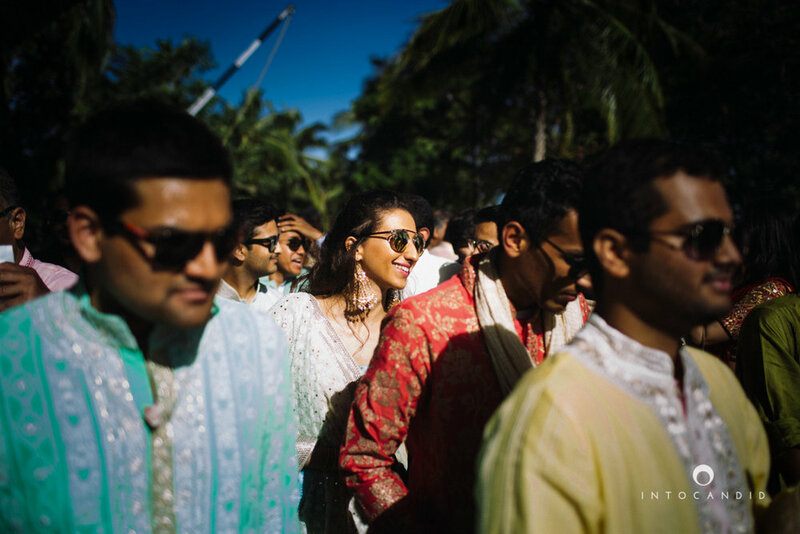 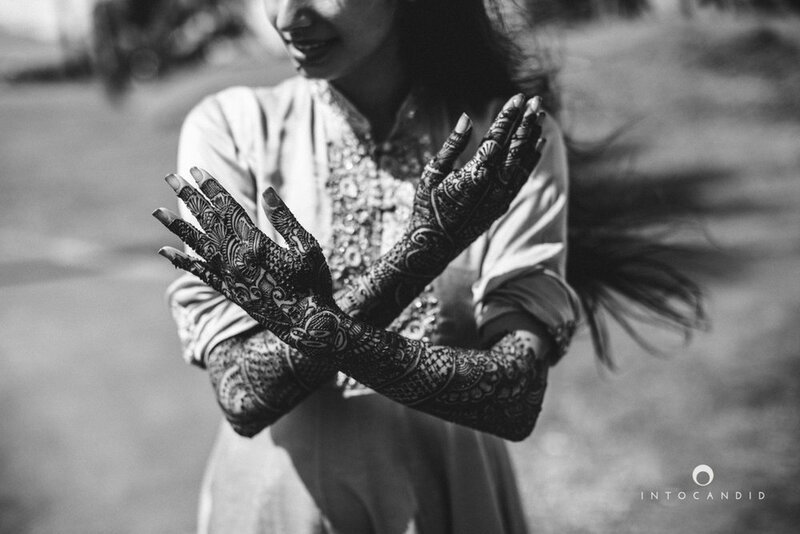 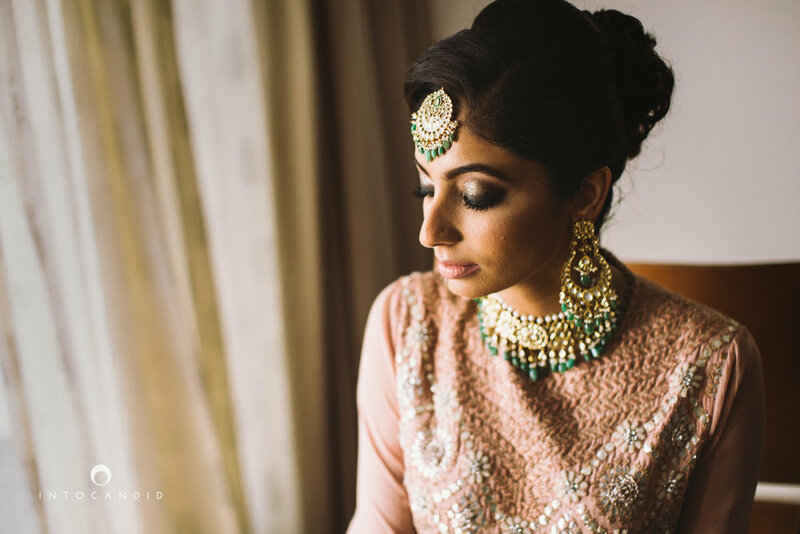 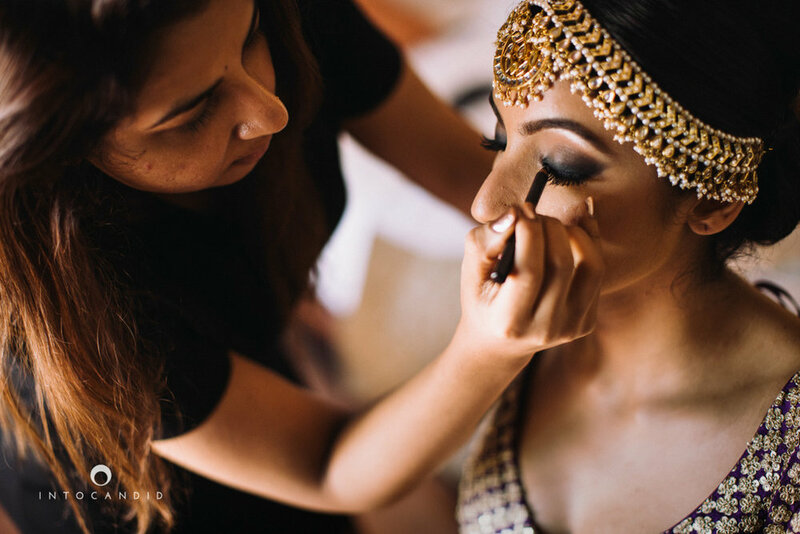 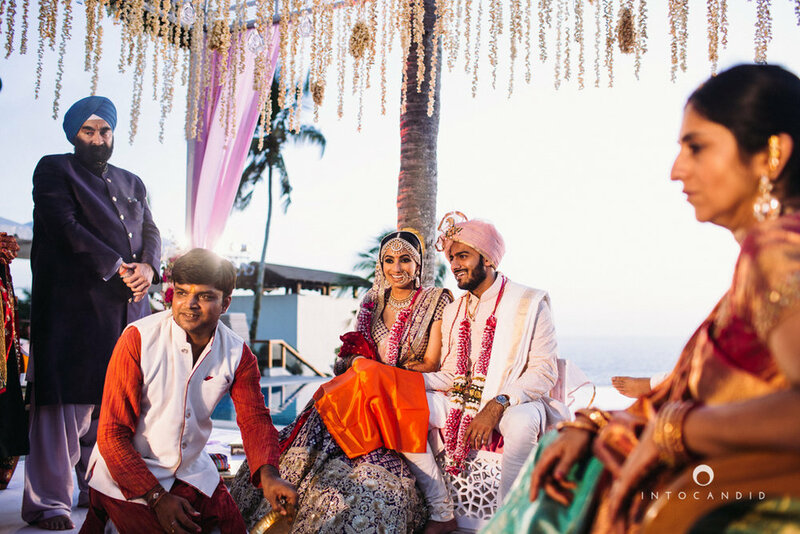 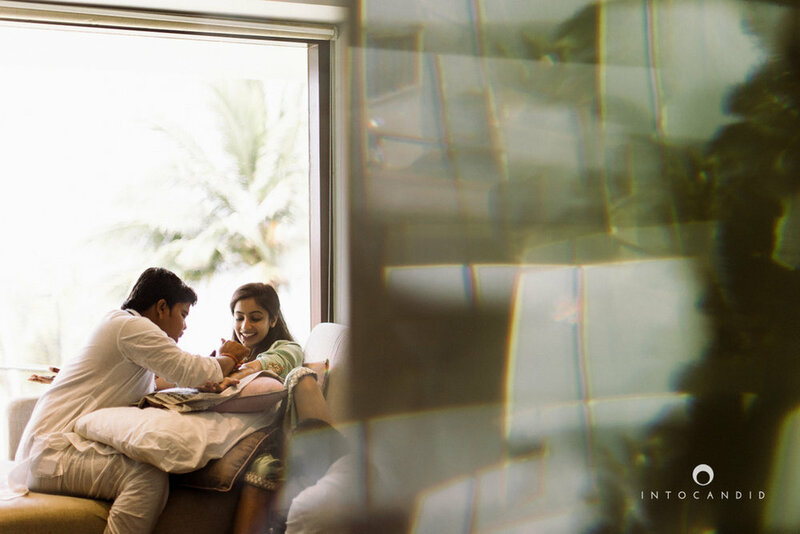 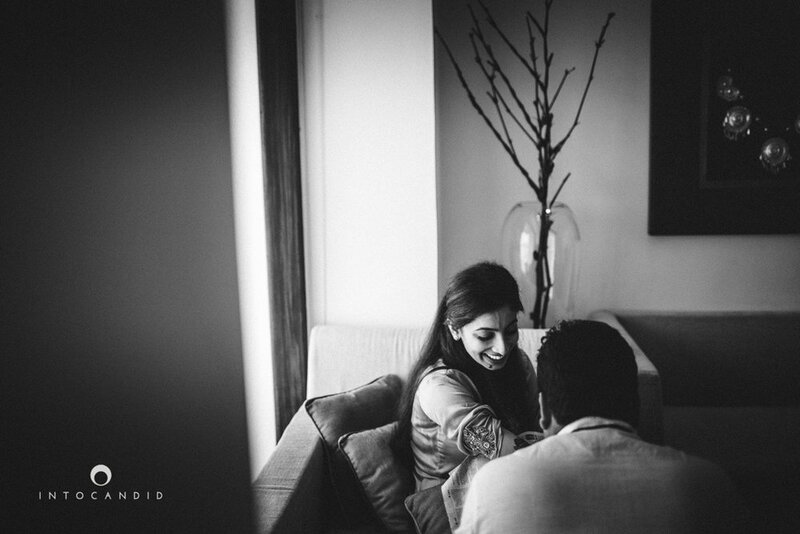 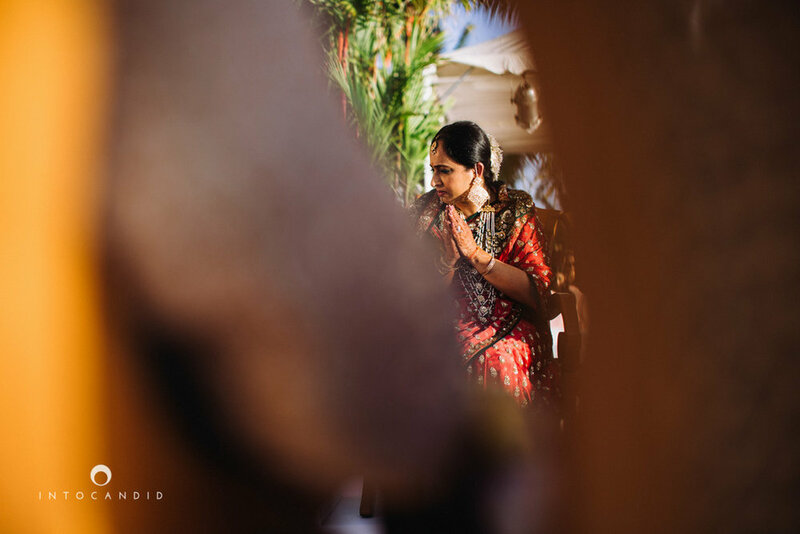 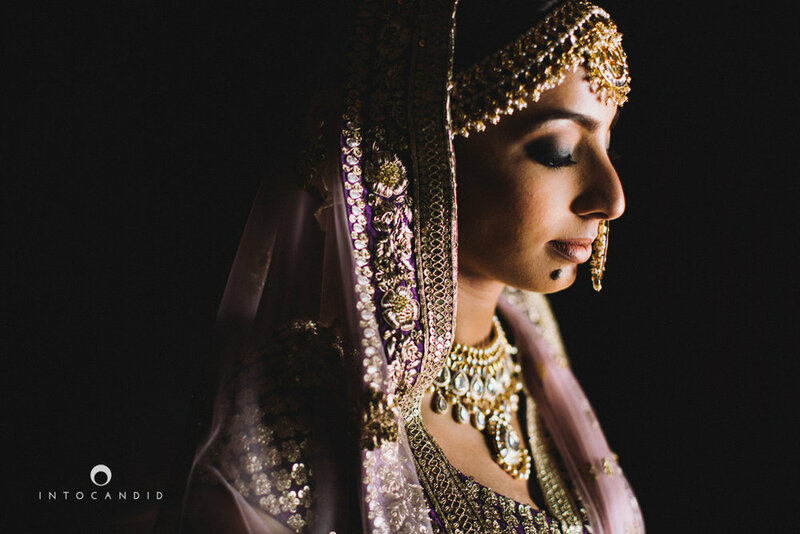 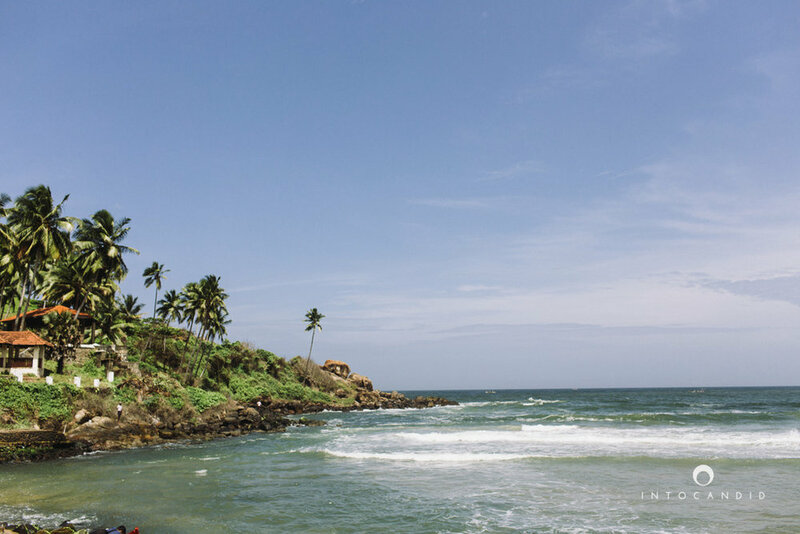 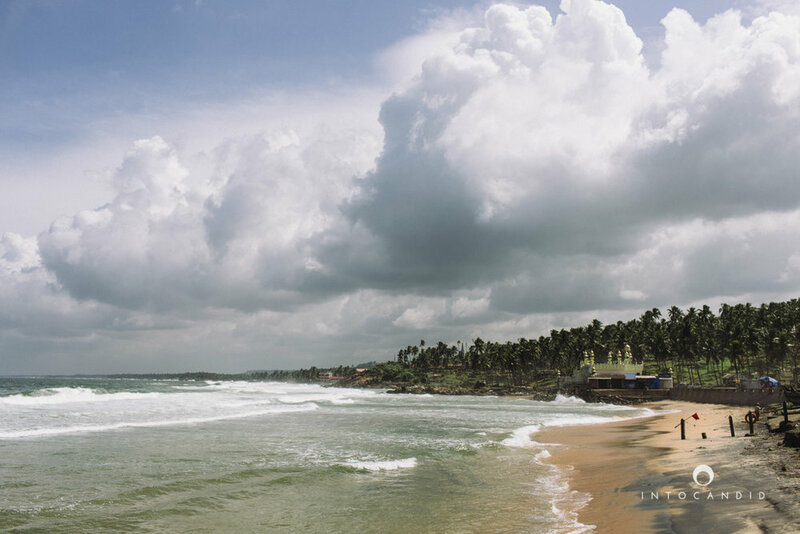 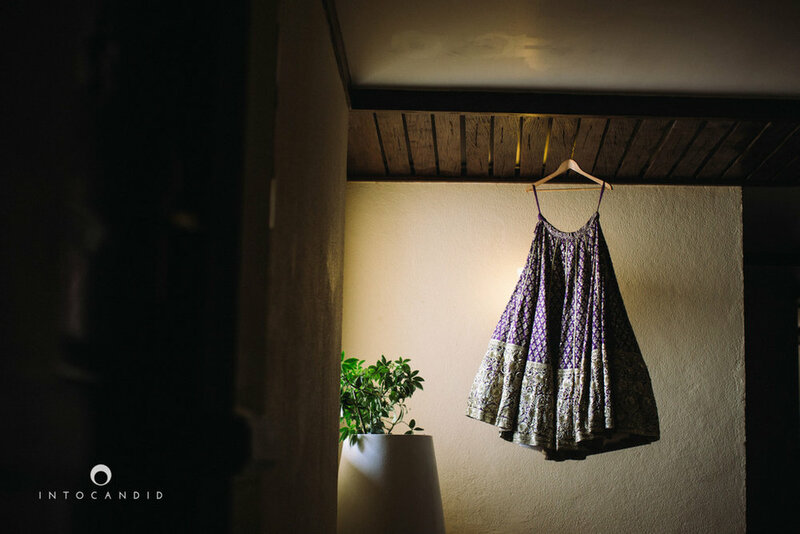 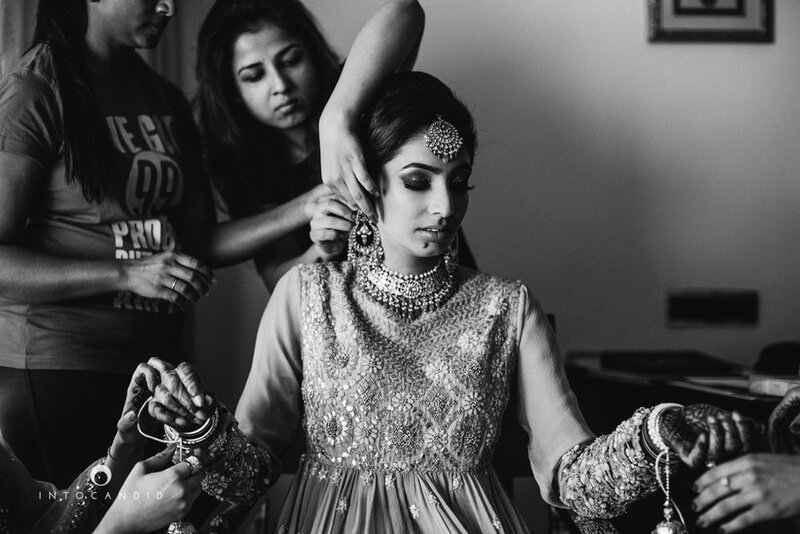 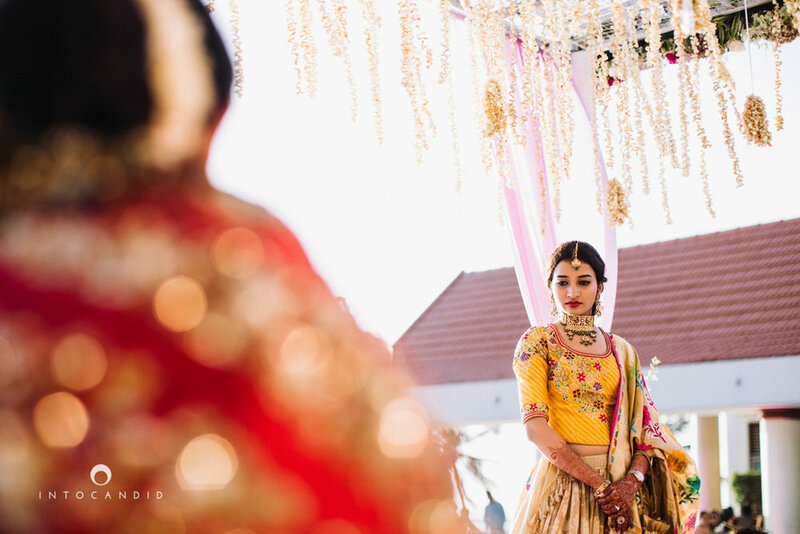 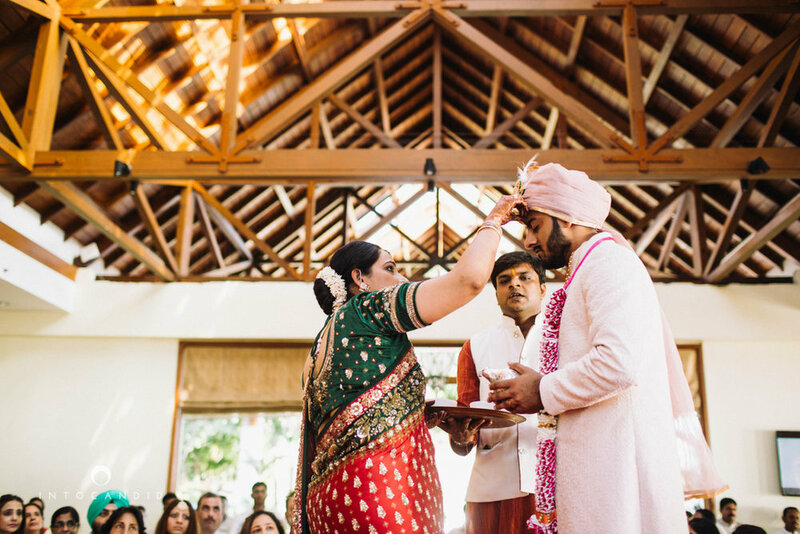 Roshni & Akarsh’s 3 day destination wedding took place at the Leela Palace, Kovalam. 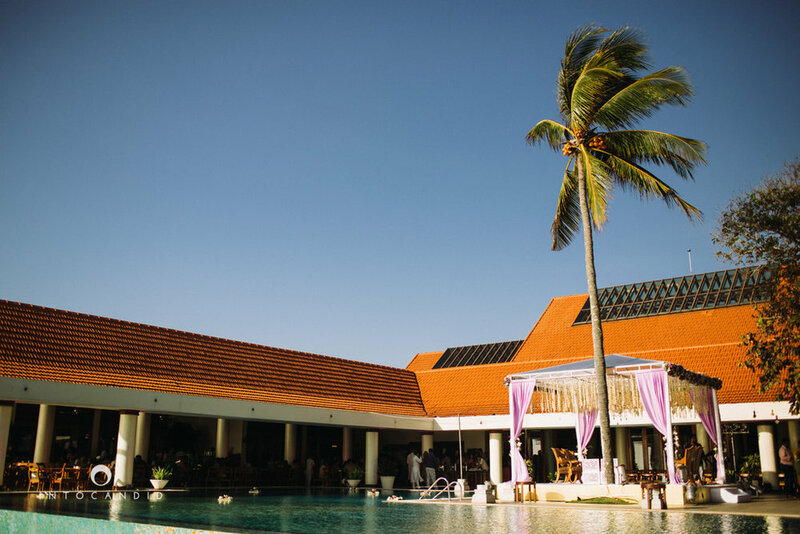 It’s one of the most beautiful location to host a wedding. 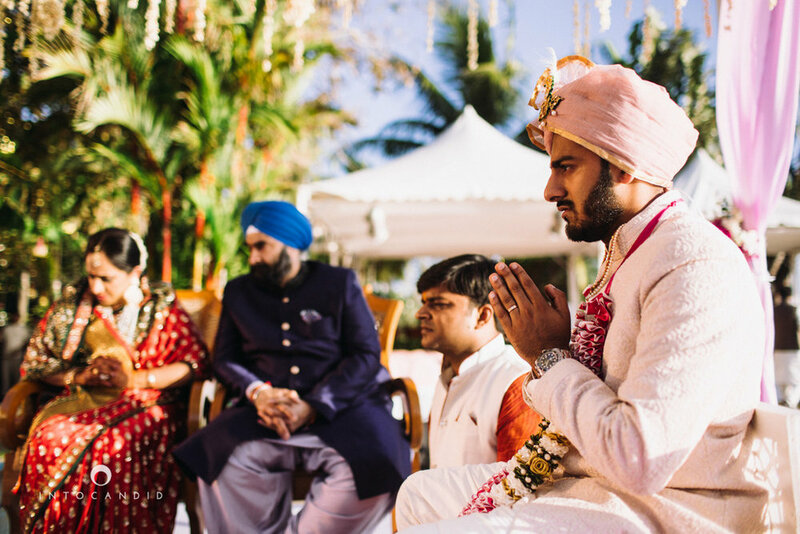 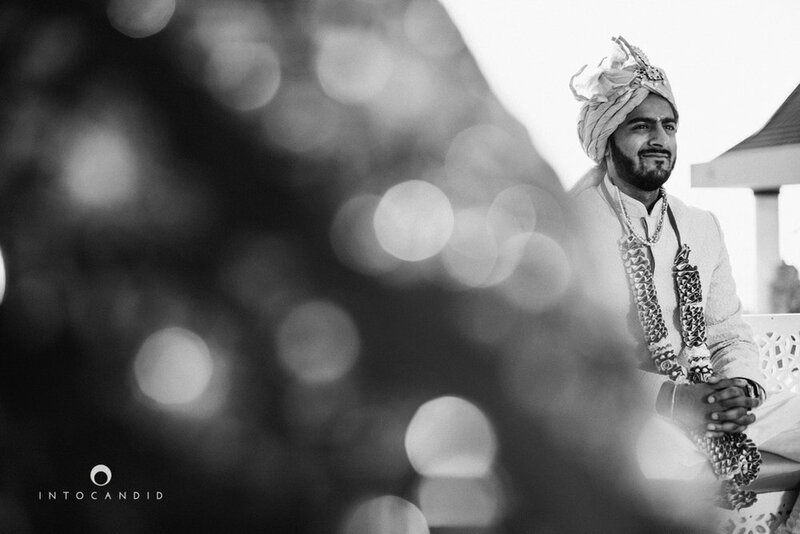 Roshni, comes from a Sikh family & Akarsh being a Gujarati, we got to witness two different styles of wedding ceremonies. 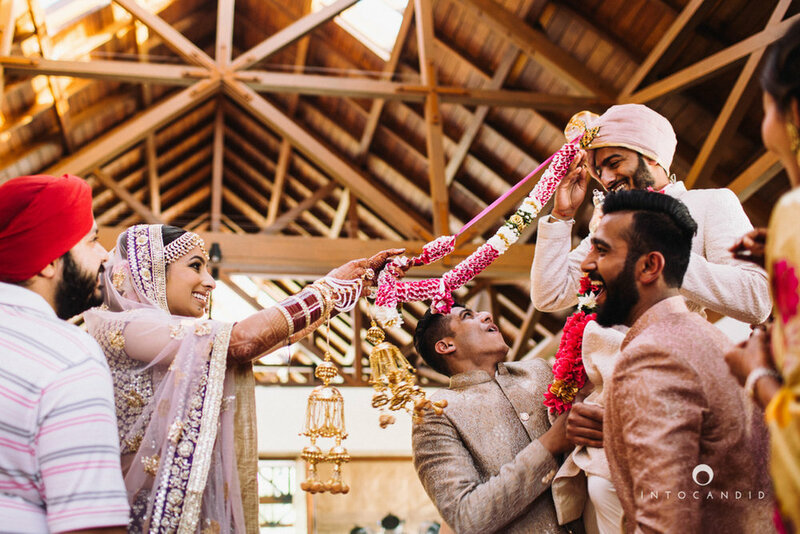 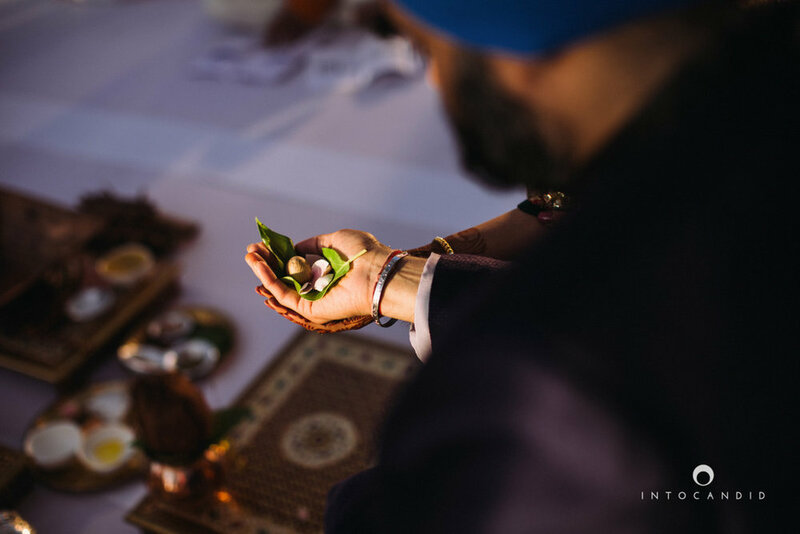 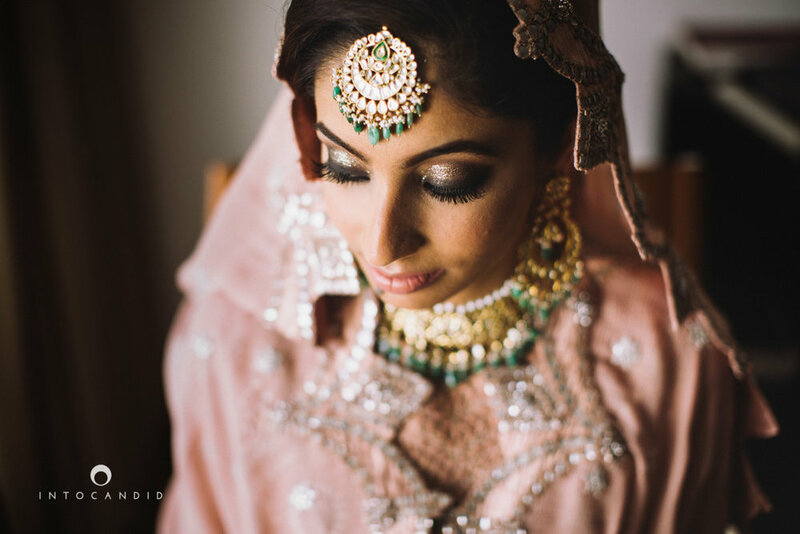 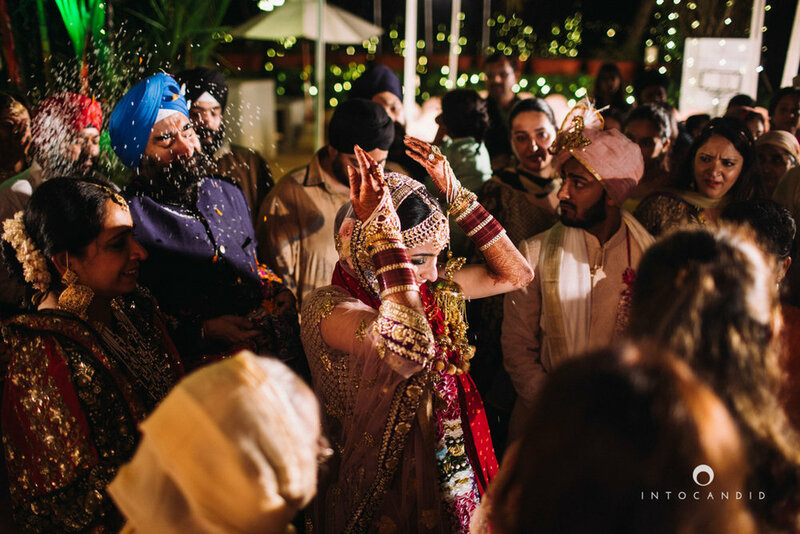 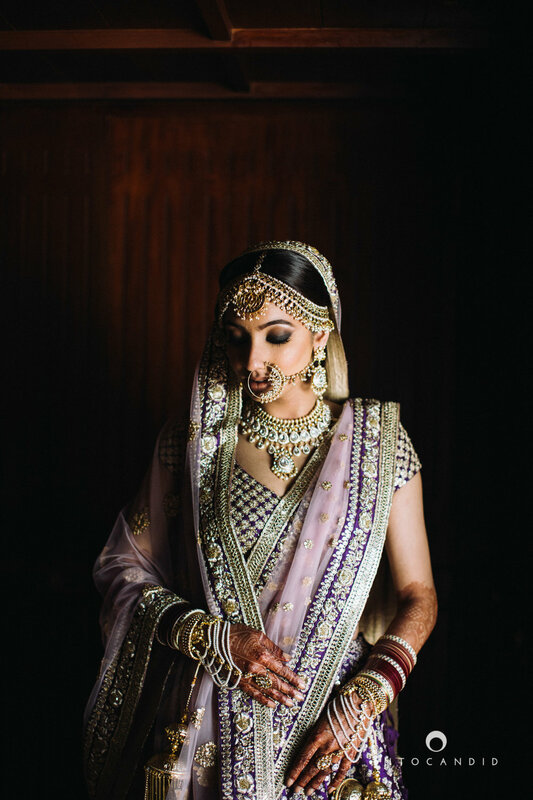 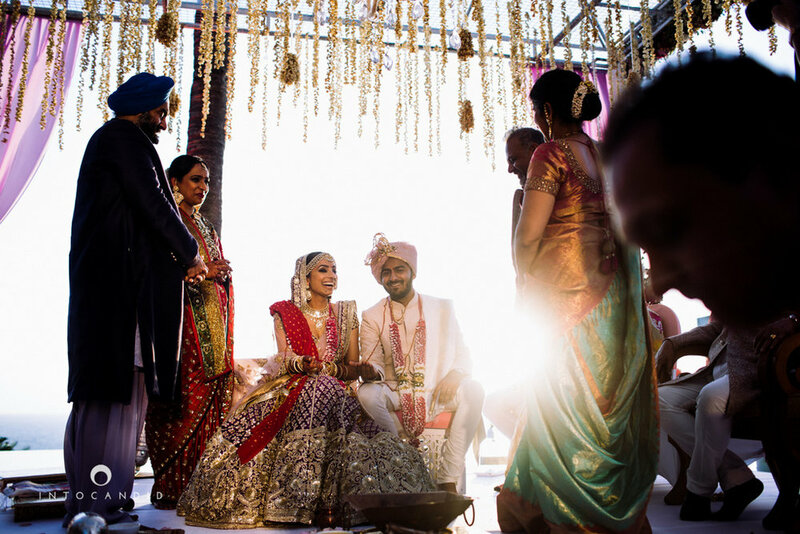 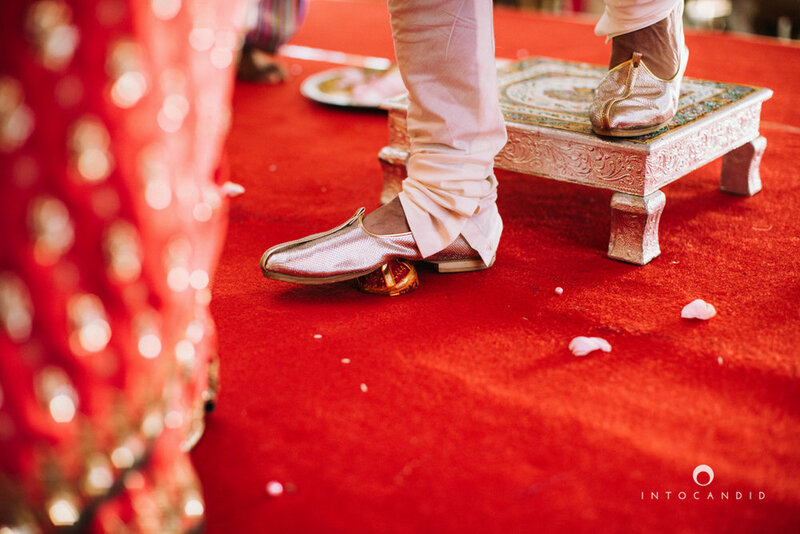 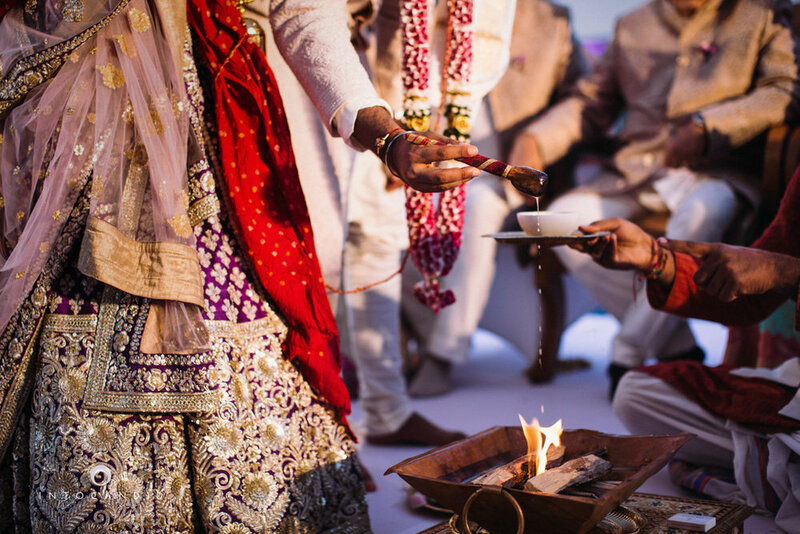 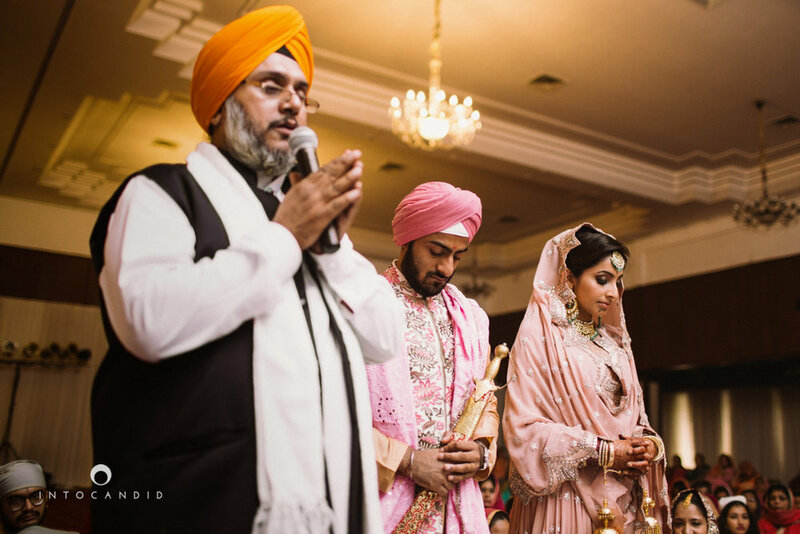 The first half of their wedding day began with Anand Karaj also known as the Sikh wedding. 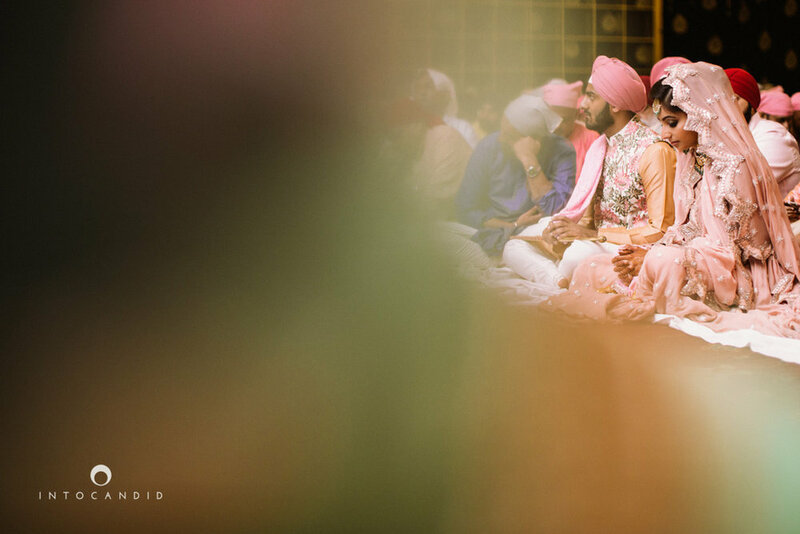 Akarsh carried his Punjabi look with a turban really well and Roshni looked beautiful in an Anamika Khanna outfit. 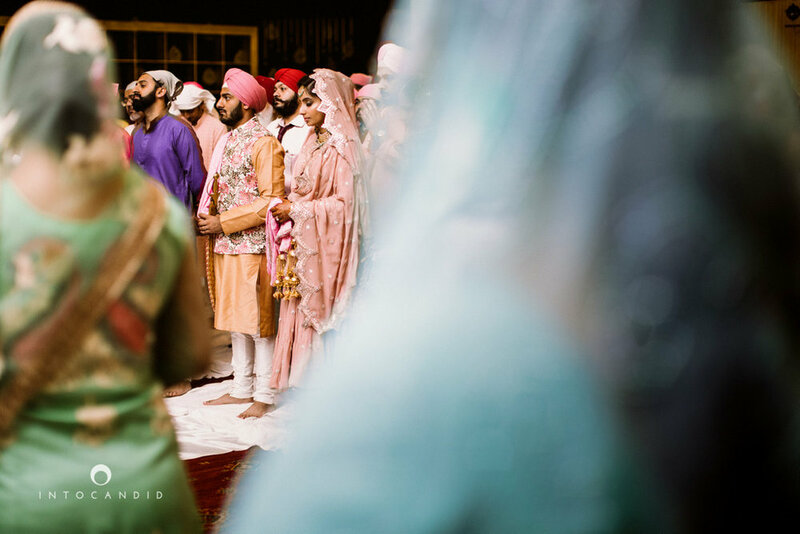 Their pheras took place in the evening at the time of sunset. 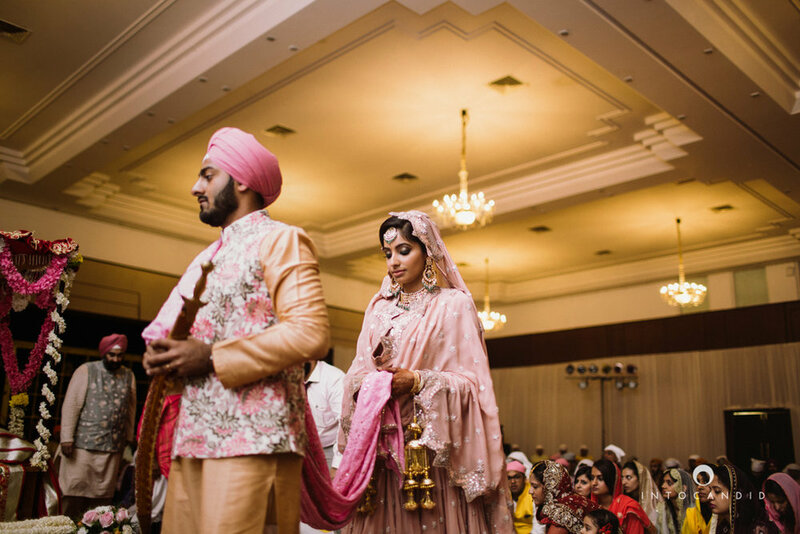 Roshni looked stunning in a Sabyasachi outift and Akarsh complimented her really well in his white sherwani & pastel turban. 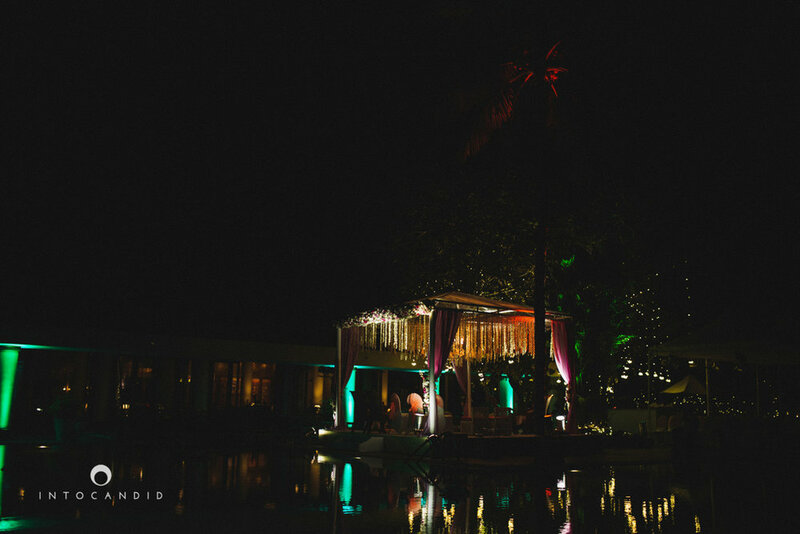 It was a gorgeous set up by the pool overlooking the sea. 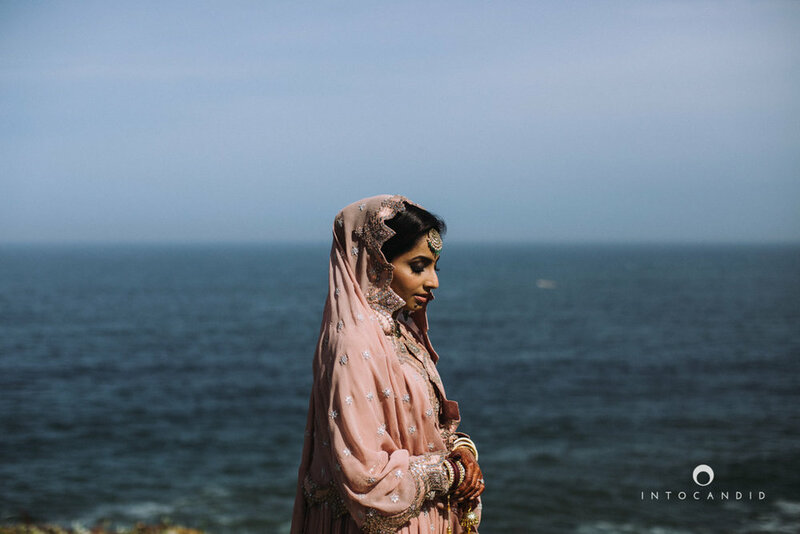 The location offered beautiful backdrops for portraits. 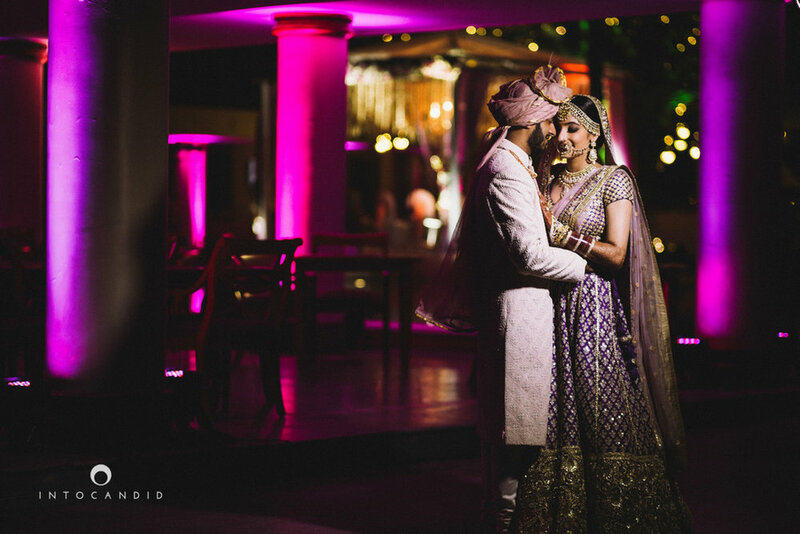 Roshni & Akarsh, you guys make a wonderful couple. 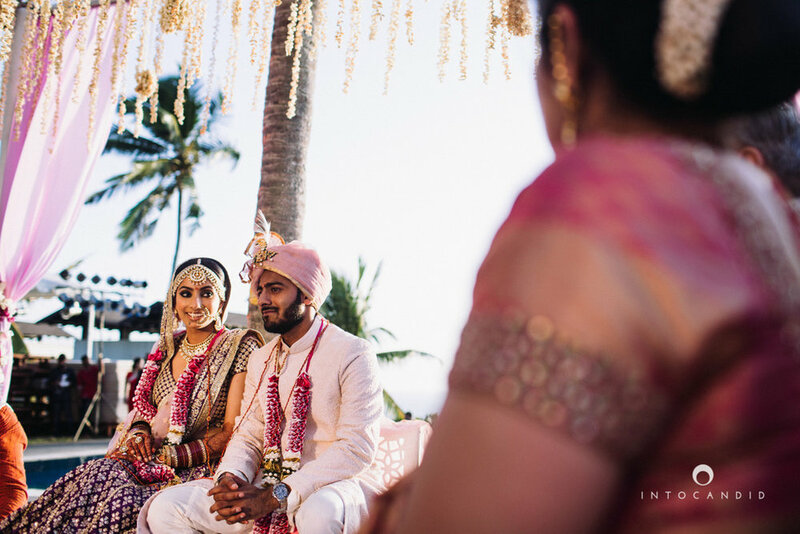 We wish you all the happiness in your journey ahead. 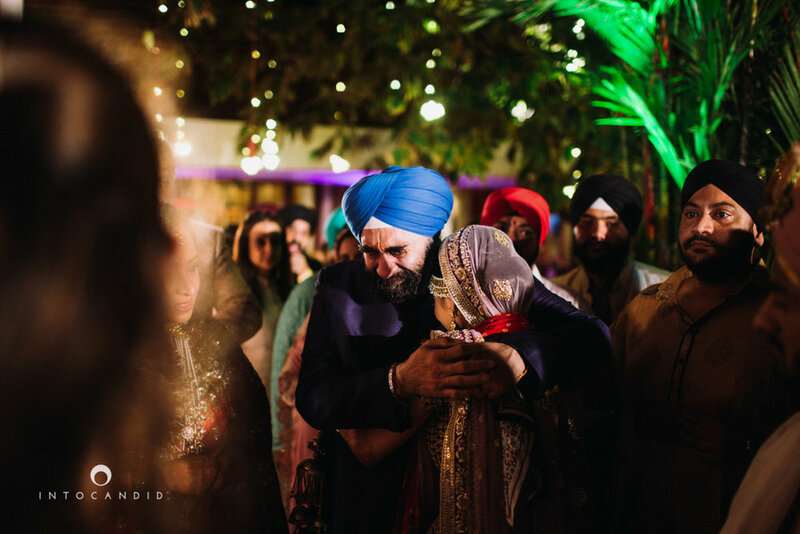 We move on to some of our favourite images from their celebrations.